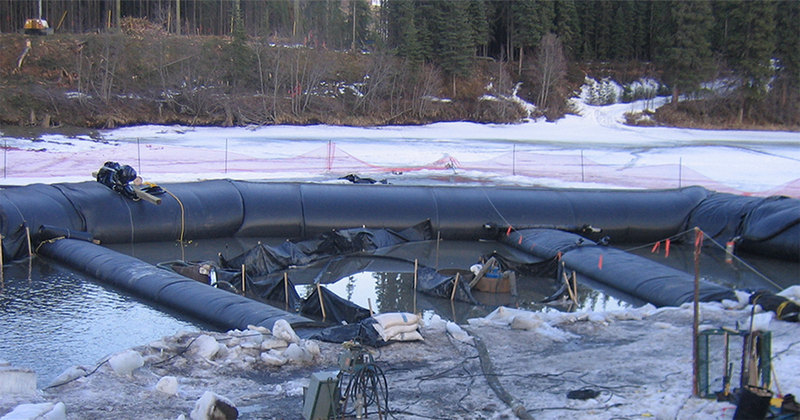 Layfield's featured service for pipeline construction is the Aqua Dam temporary coffer dam. Aqua Dams allow you to construct large-diameter pipeline crossings in streams and rivers with the least amount of disturbance to the environment. Layfield also supplies turbidity curtains, geotextiles, and silt and sediment control devices. Layfield has been busy during the past few years with the surge in pipeline and terminal construction. We have provided secondary containments for a number of major terminals in western Canada and have actively supplied materials to pipeline contractors building new pipelines.